COBB Tuning COBB Knob - Pann Auto Performance - San Diego largest aftermarket automotive performance parts - What do you drive? The COBB Knob is a fusion of the highest quality materials that, when properly mated, produce a shift knob that feels as good as it looks. Shifting a Subaru has never been this exciting! 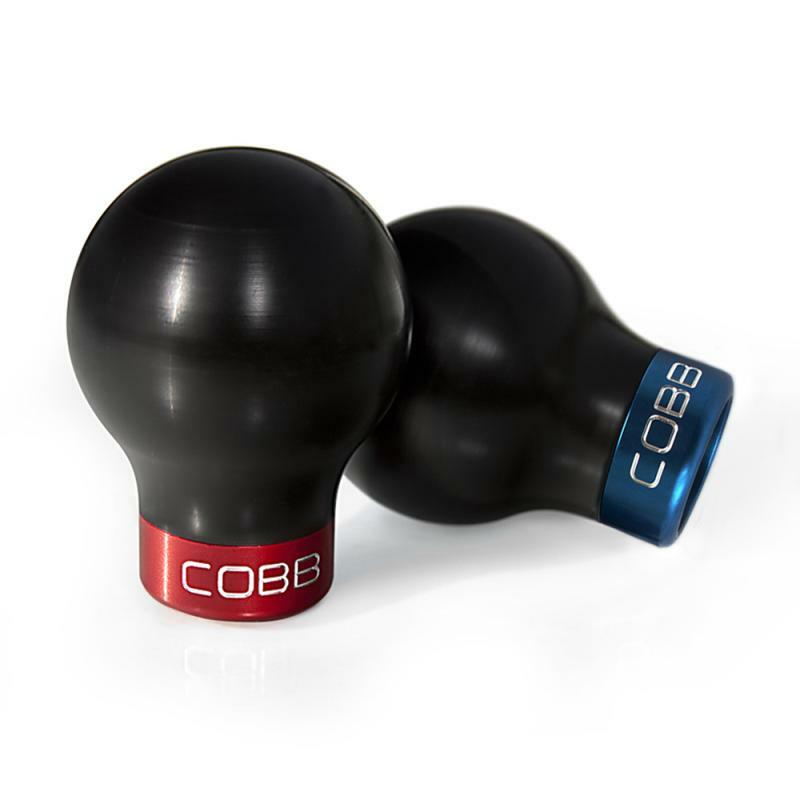 The COBB Knob is designed to keep those extended shifting sessions exhilarating. The blue anodized billet aluminum base is internally threaded to provide a tight fit onto the shifter shaft that won’t come loose in the most frenzied of gear changes. The matt black delrin knob has a perfectly round contour to fit right in the palm of your hand. The package is complete with a COBB logo boldly engraved into the base to let everyone know whose knob you hold. The 5 speed COBB Knob has a lip around its base to secure the stock shifter boot, while the 6 speed COBB Knob works perfectly with the reverse lock ring. Shifter weights are 117g and 104g respectively, encouraging smooth thrusts into every gear. Spin on a COBB Knob and take your Subaru for a ride!